You know the deal: On Thanksgiving, your family and friends gather together to indulge in some of the tastiest holiday dishes of all time. But cooking such a feast means a lot of work. (Even if you’re not the chef, you have to help clean up!) This means hours in the kitchen instead of enjoying time with the people you love. If you’d rather spend the holiday savoring your meal instead of cooking it and enjoying good company instead of cleaning in advance of it, consider dining out instead! Millenia is close to a ton of dining options; many of them serve up something extra-special on Thanksgiving Day. Why Go Out to a Local Restaurant? 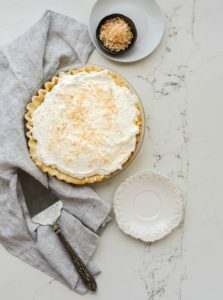 Traditional or a twist – Whether you prefer a classic Thanksgiving meal with all the traditional trimmings and sides or would love to try a new take on the old feast, there’s a wide range of options. On your schedule – Both lunches and evening meals are available, depending on your preference. Past years’ Thanksgiving Champagne Brunch Buffet menus have included both classic holiday dishes and delicious non-traditional options. Think: cider-brined turkey, garlic-roasted prime rib, succulent shrimp and oysters. 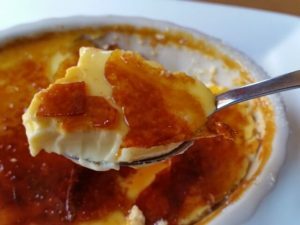 Afterwards, indulge in pumpkin pie or creamy crème brulee. If you prefer to celebrate Thanksgiving with an evening meal, Sally’s at the Hyatt is offering a delicious dinner with turkey breast and all the trimmings, including chestnut stuffing, cranberry-orange chutney, and other delicious sides make this one a feast to savor! The three-course Thanksgiving menu at Indigo Grill in Little Italy features both traditional dishes and inspired twists on old favorites. The menu includes traditional roasted butternut squash soup, herb-roasted Sonoma Turkey, and spiced pumpkin pie, plus Latin-inspired alternatives such as delicious veggie chile en nogada and housemade churros with dulce de leche. Chula Vista’s Black Angus Steakhouse is sure to be a popular location for Thanksgiving, thanks to its traditional, delicious turkey dinner. Choose soup or salad, and follow your starter up with juicy turkey and scrumptious sides. Then finish off with pumpkin pie! How About a Thanksgiving Feast Delivered to Your Door? If you want to avoid spending all day in the kitchen but also prefer the atmosphere at home, you have options! Sprouts offers a healthy service that takes all the work out of your Thanksgiving meal and provides you with a fantastic selection of delicious dinner and dessert dishes. 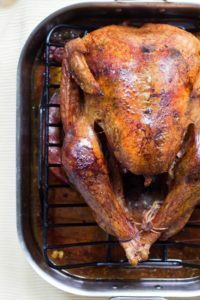 Get an organic, never-frozen turkey and all the fixins’! No one can resist one of Marie Callender’s famous pies. Whether it’s a classic flavor, like pumpkin cream cheese or pecan, or something a little different, like chocolate cream, you can order it. But why stop at dessert? Marie Callender’s in Chula Vista has Thanksgiving Feasts available too! Pick up your order the week of Thanksgiving from Boston Market San Diego, or have the entire meal delivered to your door. You deserve to enjoy Thanksgiving exactly the way you want to. Whether that’s in your apartment, town home or condo, or out on the town, you have options! Choose the best one for you, and then focus on what really matters.